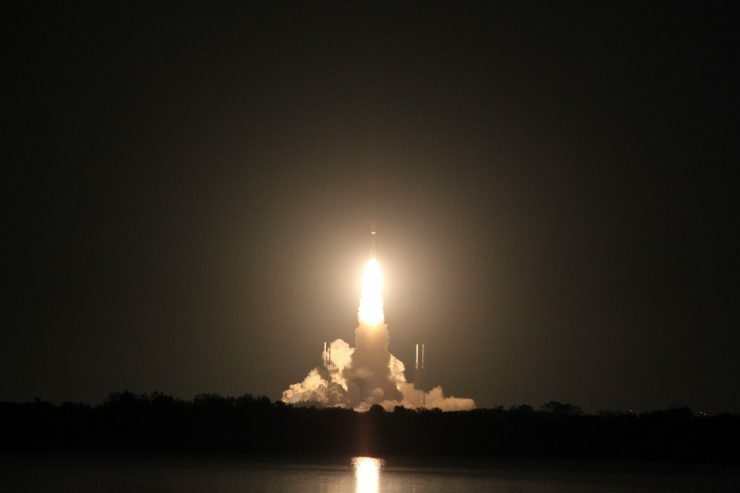 This past weekend, I had the chance to attend the launch of the Geostationary Operational Environmental Satellite – R (GOES-R) weather satellite. Advanced Baseline Imager (ABI) – GOES-R’s primary instrument; will view the Earth with 16 different spectral bands, including two visible channels, four near-infrared channels, and ten infrared channels.It will track and monitor cloud formation, atmospheric motion, convection, land surface temperature, ocean dynamics, flow of water, fire, smoke, volcanic ash plumes, aerosols, and air quality. 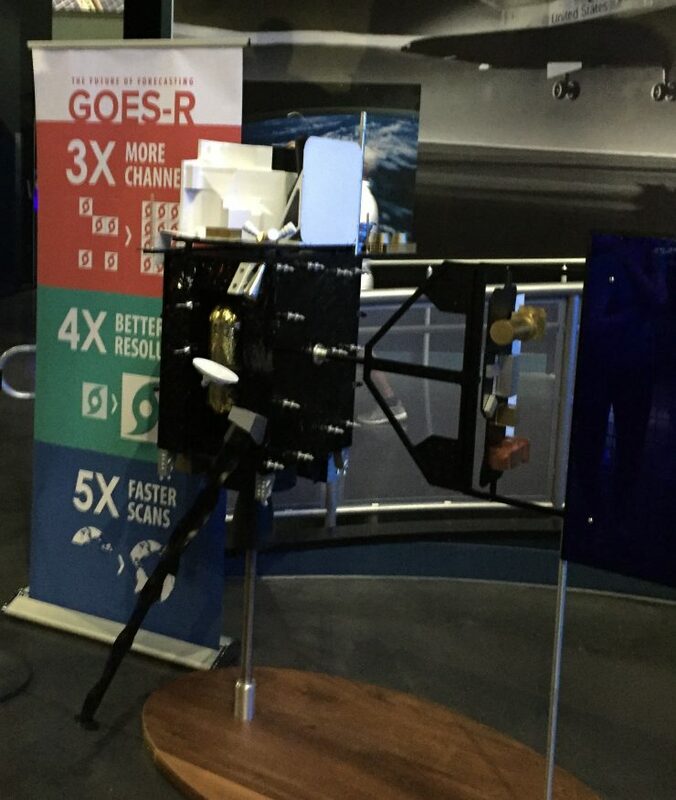 Geostationary Lightning Mapper (GLM) – Will be the first operational lightning mapper flown in geostationary orbit. GLM measures the total lighting activity over the Americas, which will help meteorologists identify potential tornadoes even further in advance, which has the potential to save many lives. This is one of those instruments us #Avgeeks will like as it’ll help with the routings of aircraft over the US. Extreme Ultraviolet and X-ray Irradiance Sensors (EXIS) – will be helping to detect solar flares, this is important, because solar flares often impact communications and impact navigation. Solar Ultraviolet Imager (SUVI) – “will observe and characterize complex active regions of the sun, solar flares, and eruptions of solar filaments which may give rise to coronal mass ejections,” Essentially, SUVI will be helping to identify “space weather” to better understand active areas of the sun. Space Environment In-Situ Suite (SEISS) – The information provided by SEISS will provide data to assess electrostatic discharge risk and radiation hazard to astronauts and satellites. MAGNATOMETER (MAG) – will be measuring the space environment magnetic field, which is important for providing alerts and warnings related to the magnetosphere. Magnetosphere activity can impact navigation of satellites. Of note, while I’m sure many will still refer to GOES-R as that, once it is in its orbit, it will take on the identifier of GOES-16 as the satellite takes on a number once it reaches orbit. Of course Al Rooker is one of the many people that is very excited about all the new toys. 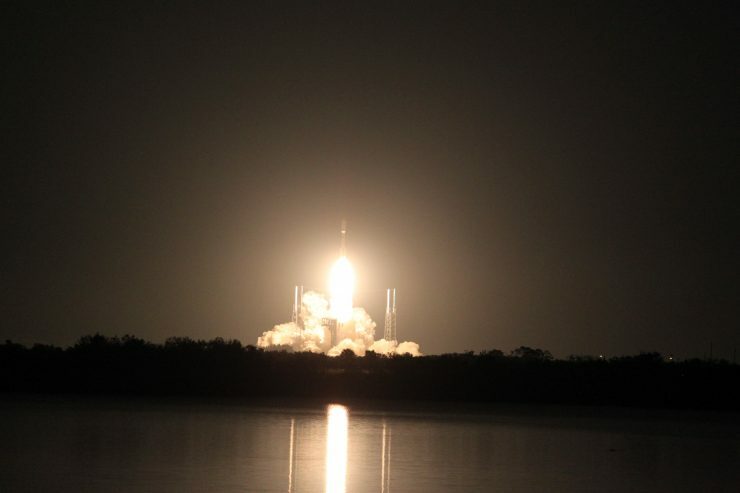 Attending any kind of spacecraft launch is cool; but this one was special for a few reasons. The biggest reason, is the fact that my wife, has been working on this satellite her entire career. So she had a very tangible relationship to the launch. That also helped us get access to the viewing area at Banana Creek. 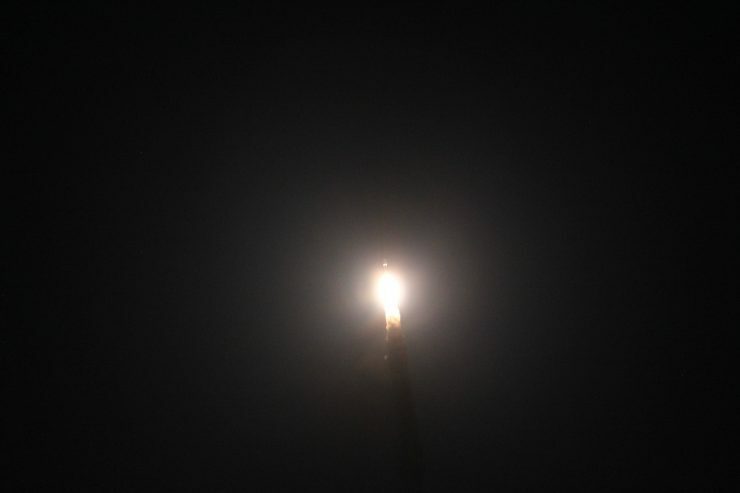 The GOES-R launch window was from 5:42 to 6:42 courtesy of the FAA; initially the plan was to launch as early in the window as possible, but Murphy’s law came into play. First, we had a series of 5 minute delays due to what ended up being a false positive for a valve. Then, the Eastern Launch Range (the US has Eastern and Western launch ranges that fall under the US Air Force’s Space and Missile Command) had an issue. We weren’t privy to what that issue was. About 6:25 or so, we were informed that they were going to aim to launch right at the end of the window, 6:42pm on 19 November 2016. 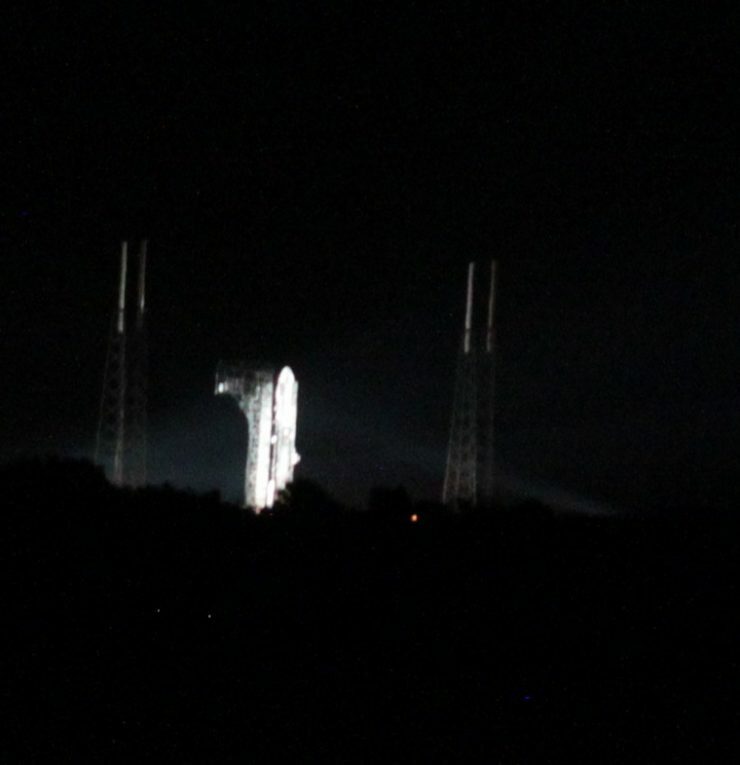 Things were fairly quiet for a few minutes, then, less than 10 minutes out, they started going through a variety of checks, which were played out via speakers at the launch viewing area. 28 separate engineers and specialists reported status, with the ultimate announcement that GOES-R was “Go for Launch.” You could feel the energy of the crowd at this point. There were some cheers. Then the Eastern Range was asked if it was good for launch, there was a rather pregnant pause, and they too reported an affirmative. The launch itself was kind of surreal. 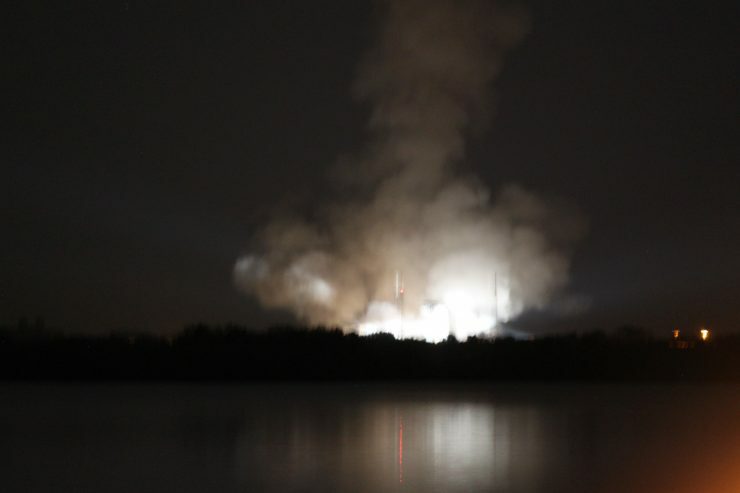 We heard the T-10 second countdown, rocket ignition and such, but, it definitely felt more real as we saw the rocket take flight, with an impressive trail. 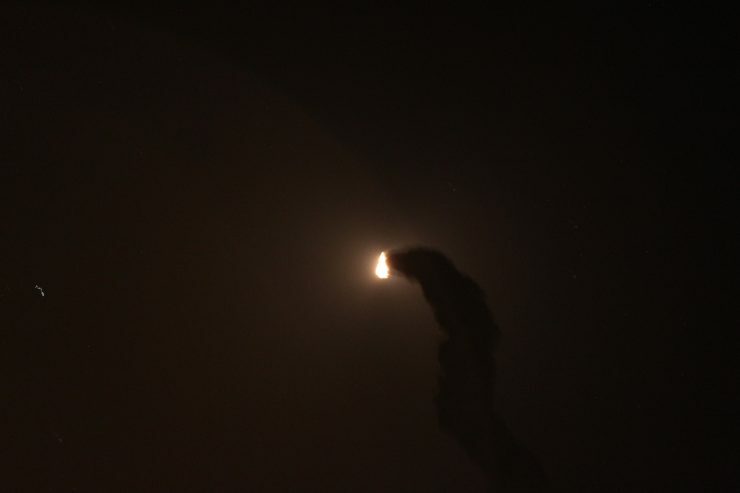 It was yet another few seconds before we actually heard the throaty rumble of the Atlas V rocket shooting through the sky. 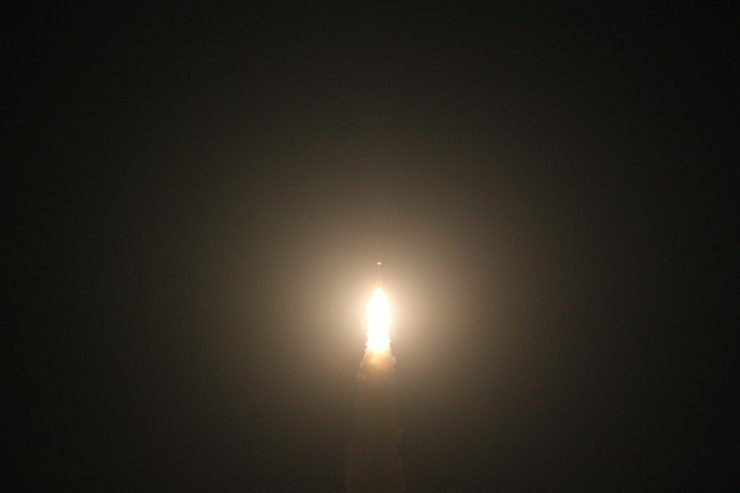 It will still be months, before GOES-R is sending data back that you’ll see on the local evening news, due to getting the satellite into its proper orbit and extensive testing. But it was clear on twitter that the meteorologist community is very, very excited at the prospect of GOES-R, now on its way. Here’s a video from our friend Geoff of the launch. @Jane – nice, sorry you weren’t able to make it to FL. I definitely remember all of my wife’s trips back and forth to Fort Wayne as well!